If you’re reading this, there’s a decent chance you got up early this morning for Apple’s version of Christmas Day—the launch of the iPhone 5. The phone is cool, of course, but apps are what make it useful and fun. This week’s roundup of new and updated apps includes apps for gaming, apps for grocery shopping—and a navigation app that takes advantage of changes to the phone’s native Maps app. This week saw the launch of iOS 6, and with it Apple’s update to its own apps like Cards, GarageBand, Keynote, and more—and what’s more, we gave you a guide to the revamped App Store. 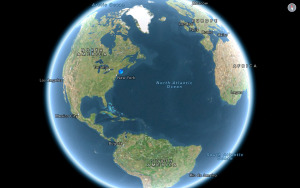 Macworld also took a closer look at Apple’s overhauled, Google-less Maps app. We also let you know about Twitter’s iPad app redesign. AnyList lets you make and share grocery lists. AnyList/Doable: We’ve long used the iPhone’s native Notes application to make our grocery list before going to the store, but the free AnyList iPhone app from Purple Cover is an improvement on the basic model: Users can share their grocery lists with spouses or roommates, who can then add or subtract items from the list—a change made on one device will appear on every device where the list is in use. Which means you can send your husband to the store and add eggs to the list after he’s left. If you’re looking for a more advanced get-things-done app, Doable—a $1 iPhone offering—will help you plan your day: As it learns your habits, it will start to tell you if you’ve scheduled too many activities into too short a time. Which means, yes, your iPhone might be smarter than you. Cinemagram: It’s probably easier to show you a Cinegram than it is to explain it, but here goes: It’s not a still photo and it’s not a video—maybe it’s best to think of it as a handcrafted animated GIF. The makers of the free Cinegram iPhone app present it as a method of adding just a tiny bit of animation to your pictures—the pages of a book might flip in an otherwise-still photo of a woman sitting in a library, for example, creating an eerie effect. (You do this by filming two-to-three seconds of video to help create your animated photo.) The latest update to the app offers new Instagram-style “vintage filters” to vary the effects, as well as tools to fine tune the final product. The app also has its own Instagram-style social network, for sharing the cool images you’ve created. 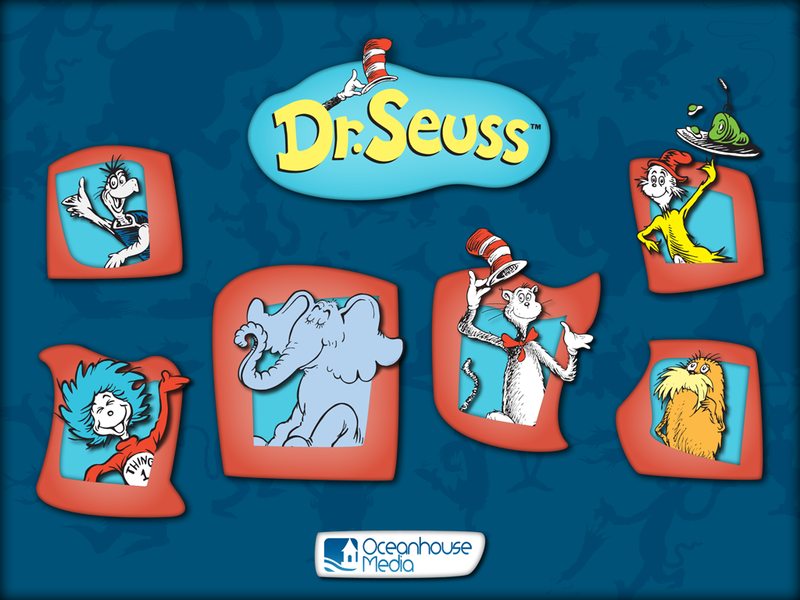 Dr. Seuss Bookshelf lets you organize and add to your collection of Seuss-related apps. 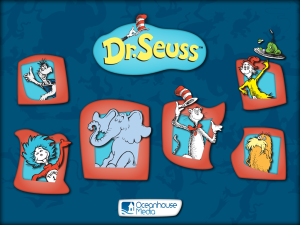 Dr. Seuss Bookshelf: Dr. Seuss classics like The Cat in the Hat have long been available as iOS apps. 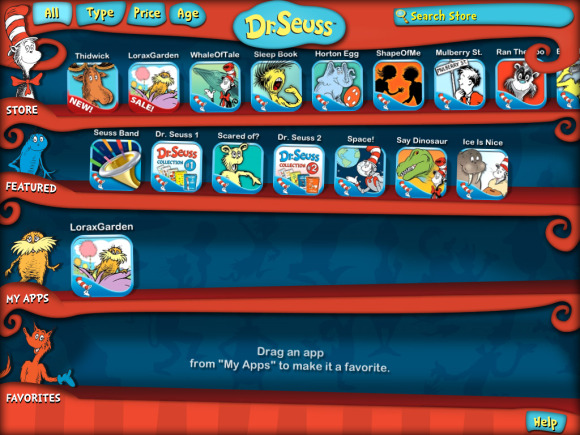 The free Dr. Seuss Bookshelf app doesn’t replace those earlier offerings—instead, it helps you organize and add to them: When new Seuss apps become available or are available at reduced prices, the app alerts you—otherwise, you can arrange your existing Seuss apps on a shelf, to be easily organized and opened at your heart’s content. Oh, the places you’ll go! Navigon USA: Apple created a rare backlash this week when the launch of iOS 6 replaced the longtime Google Maps application with its own in-house creation. One big downside of the new Maps? Directions on how to use public transit to get around town have disappeared. Luckily, private app makers have stepped into the breach: Garmin this week updated its $40 Navigon USA navigation app to include “urban guidance” features—the ability to check public transit options while planning your route. The feature is available as a $3 in-app purchase in the Navigon USA and other Garmin apps. If that’s too pricey, uou can always bookmark Google Maps in your phone’s Safari browser and be ready to go. The Kobo apps lets users read books, periodicals, and even graphic novels. Kobo: Amazon, Barnes & Noble, and Apple’s iBooks generally get the most attention on the e-reading front, but they’re not the only products out there. The free Kobo reading app for iPhone and iPad offers many of the same options as those more famous services—including the ability to move seamlessly between iOS and the company’s own e-readers. This week’s update optimizes the app for iOS 6, of course, but also adds features like a progress indicator to show how far you are through a book, as well as access to your personal book-reading stats, new font options, and the ability to tap-and-hold book margins to skim quickly through your reading. N.O.V.A 3: We probably don’t have to explain the premise of this $7 game for iPhone and iPad: See the evil space alien, kill the evil space alien. This week’s update, though, makes alien-killing a communal affair—the game’s new features include the ability to voice chat with your fellow players in multiplayer mode. There are other new features, including a new “warehouse” map, and an “InstaGib” mode in which a single hit can mean your character dies. But the voice chat is the most intriguing, and perhaps the most embarrassing: Remember, in space no one can hear you scream—but the same is not true of your dorm room. Pictosaur helps you photographically track your baby's growth. Pictosaur: This $2 iPhone app lets you track the growth of your young child over time—offering periodic reminders to take a picture of your child, and then helping you align your new picture with previous shots of the youngster to create the best comparisons. You can take notes about the time and location of the shots, and share the photos with your friends on Twitter. Other apps of note: PCalc was updated for iOS 6, as was Twittelator Neue … Priceline updated its app to include “Express Deals” discounts on hotel rooms … Shazam’s iPhone update lets users tag TV shows in addition to songs … and Netflix overhauled the iPhone version of its universal app with a new user interface.